This is the most majestic monument to the Russian military glory and the Bulgarian-Russian friendship. It was established in memory of the 100 anniversary from the Liberation of Bulgaria from the Ottoman rule. 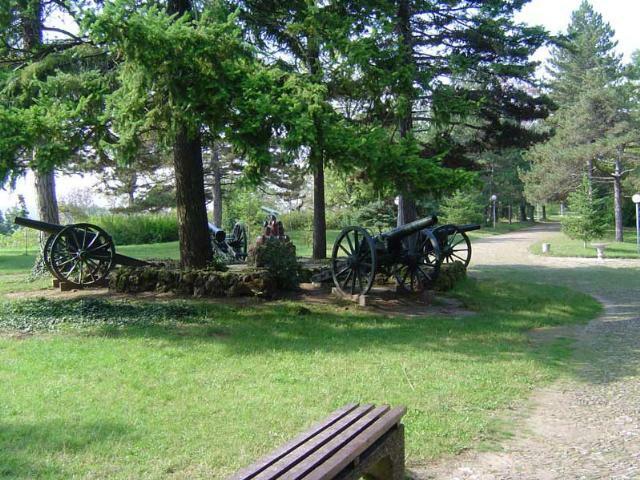 The “Pleven Epopee 1877” was built in the area of the Skobelev park-museum, in close proximity to the Kovanlak redoubt, where some of the goriest battles during the third charge for Pleven took place. 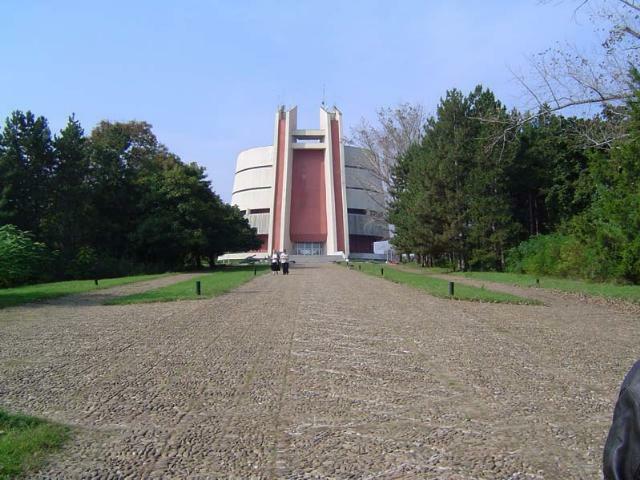 The former USSR rendered great assistance in building the complex by providing the technical means and equipment. The canvas for the Panorama was woven in the Surski textile plant by the best female weavers. The project authors are the talented architects Ivo Petrov and Plamena Tsacheva together with a designer’s team of 14 people. The architectural body of the Panorama seems to be lifted on four bayonets, symbolising the power of the Russian weapon that brought the liberation. The bayonets bear four horizontally situated rings, three of which remind the visitor of the three storms on Pleven, of the three crests of the Green heights where the battles during the third storm took place. The fourth ring – a decorative plastic frieze – symbolises the siege of Pleven. Looking at the images on the canvas, the visitor is taken back in the remote 1877, and becomes compassionate with the battles and loses count of past and reality. At the visitors’ request, they can climb with the help of two lifts to two spectator platforms on the roof of the Panorama, where they can observe the historic places: the dead valley, the redoubts Kovanlak and Issa aga, the Bone-vault in the Skobelev park, the Radishevski and Grivishki heights.